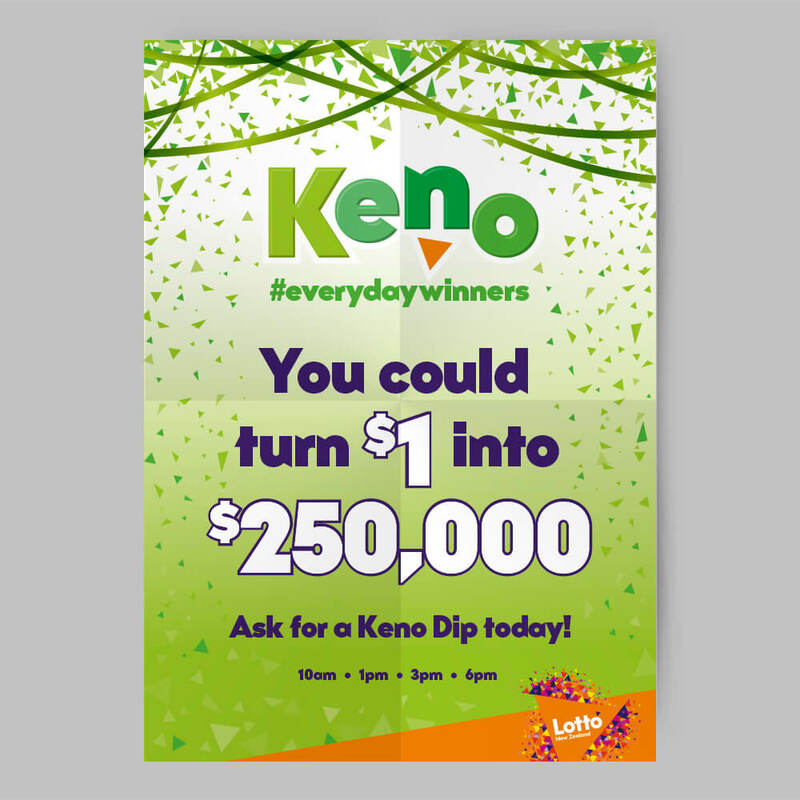 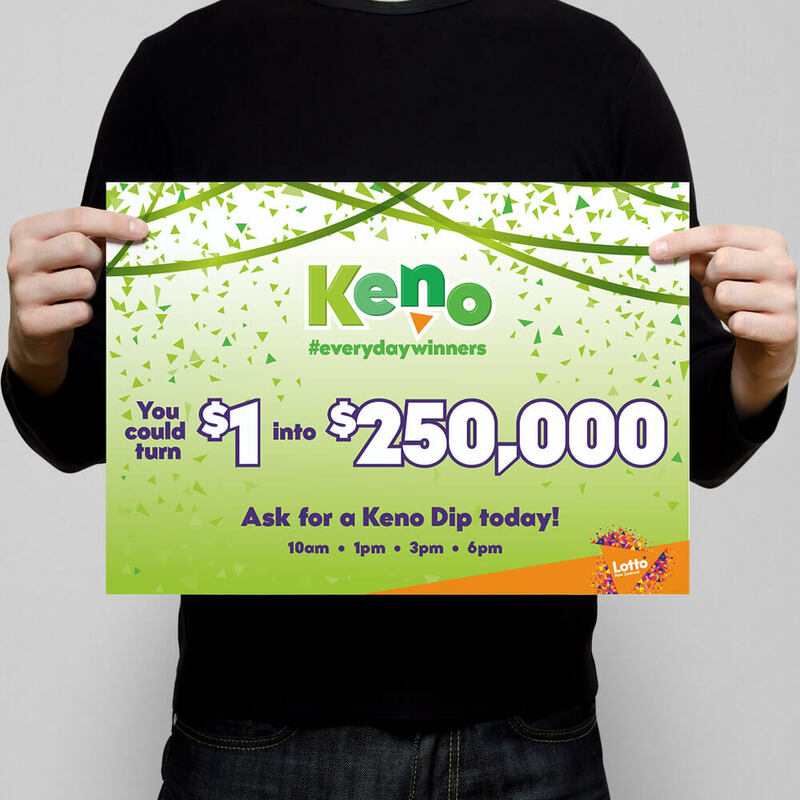 We helped Lotto New Zealand reinvigorate the Keno brand and put it at the front of customers minds. 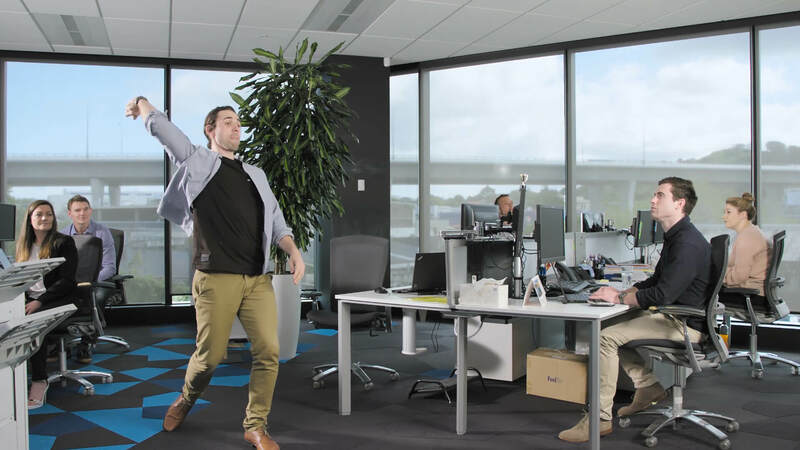 #everydaywinners means everyday New Zealanders having little (or very big) wins every day. 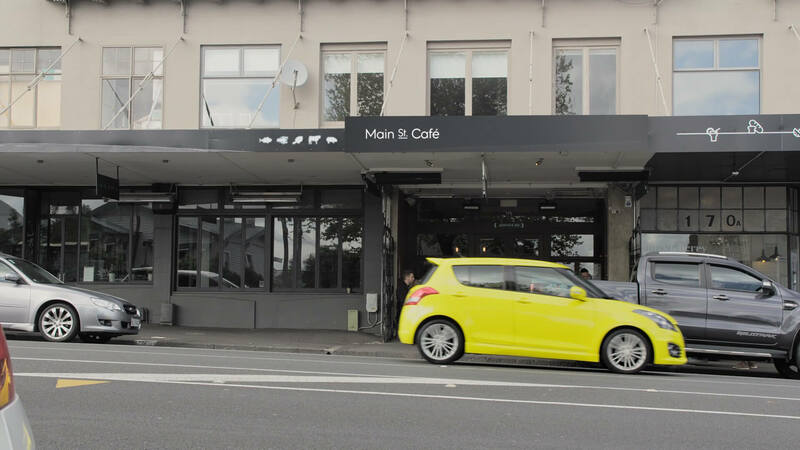 The campaign runs across online, in-store and outdoor. 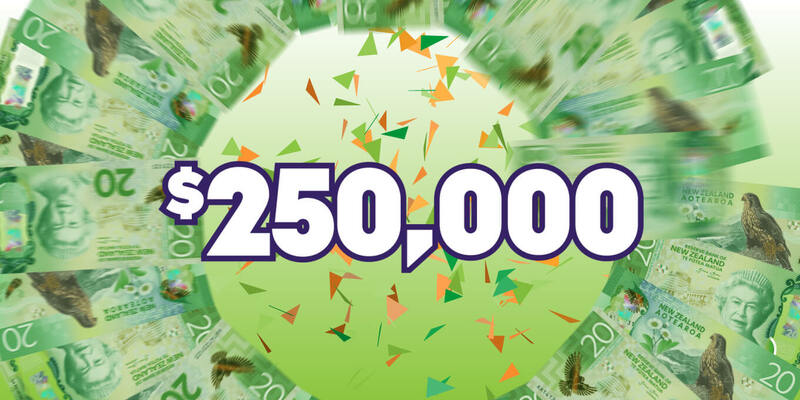 Did you know you could turn $1 into $250,000 every day?